Digital UltraViolet and Digital Copy will makes it possible for you to stream the movie The Meg UV or iTunes Code instantly to your computer and compatible Smartphones, Andriod, iphone, iPod Touch, iPad and tablets devices anytime, anywhere. 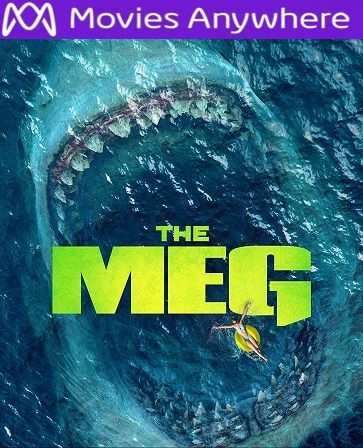 You can also download a Digital UltraViolet Copy or a Digital Copy of the movie The Meg UV or iTunes Code to your computer and compatible devices. But when a submersible lies sunk and disabled at the bottom of the ocean - carrying his ex-wife among the team onboard - he is the one who gets the call. Whether a shot at redemption or a suicide mission, Jonas must confront his fears and risk his own life and the lives of everyone trapped below on a single question: Could the Carcharodon Megalodon - the largest marine predator that ever existed - still be alive ... and on the hunt?